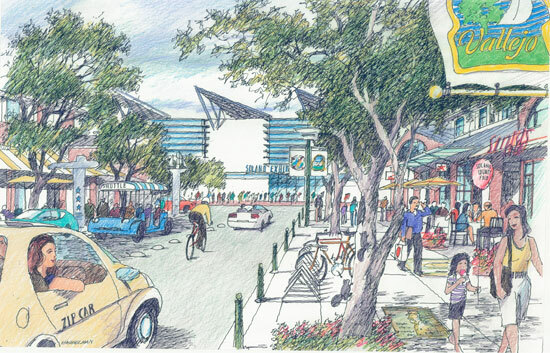 SWA Group has been named to provide detailed site planning and a Specific Plan for the 149-acre Solano360 mixed-use development that will transform the County Fairgrounds property at I-80 and Highway 37 into a year-round destination. The project will integrate a new County fairgrounds with entertainment, retail, hospitality, event- and meeting-space, offices and open space. Solano360 is a joint effort of Solano County, the City of Vallejo and the Solano County Fair Association.